In spring 2008, over 6000 assembled in Chicago to hear a counter-revolutionary call. John Piper. Mary Kassian. Joni Eareckson Tada. Karen Loritts. Janet Parshall. Nancy Leigh DeMoss. 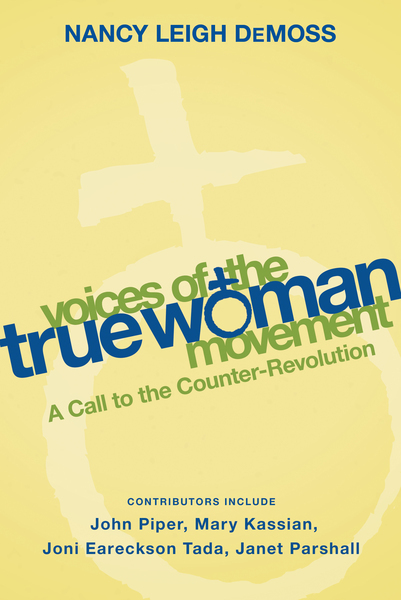 These voices launched the call to return to biblical womanhood. Thousands of women responded. Now they are the voices heard in communities, churches, and ministries worldwide. The True Woman Movement began. Experience the birth for the first time or relive True Woman ’08 with The Voices of the True Woman Movement. John Piper’s compelling opening "The Ultimate Meaning of True Woman". Mary Kassian’s explanation of why the call is counter revolutionary in "You’ve come a Long Way Baby!" Joni Eareckson Tada’s confirmation that women are "God’s Jewels." Karen Loritts’ challenge to choose in "A Resolve to Believe." Janet Parshall ‘s description of "A Woman After God’s Own Heart." Nancy Leigh DeMoss charge of revival in "From Him, Through Him, To Him." Includes Going Deeper: A Guide for Personal Reflection and Small Group Discussion a robust 9-session study into a biblical way of thinking about womanhood.